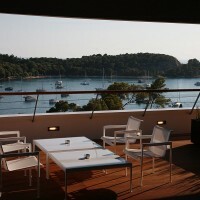 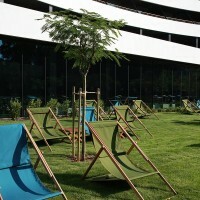 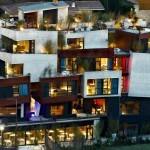 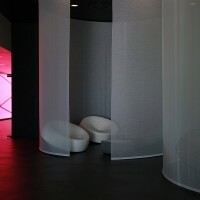 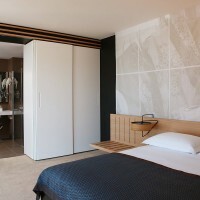 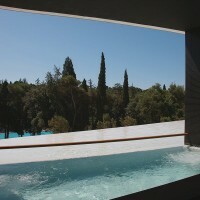 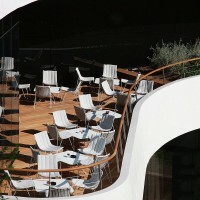 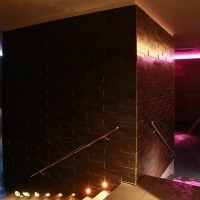 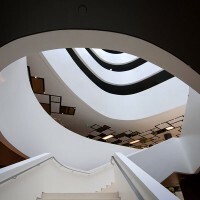 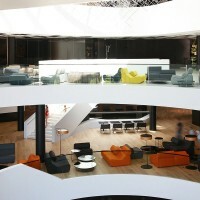 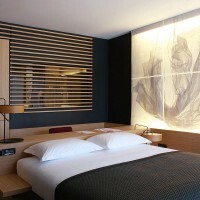 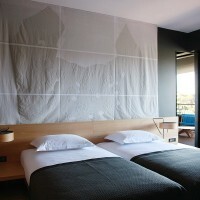 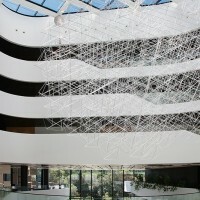 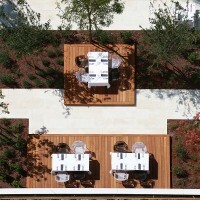 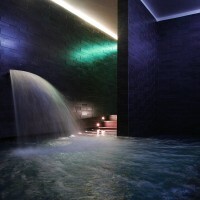 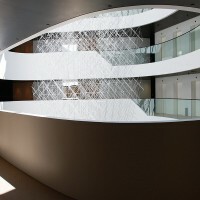 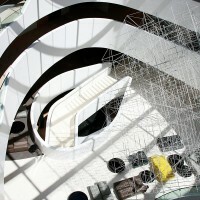 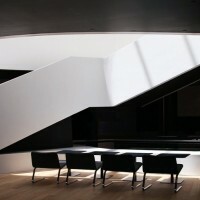 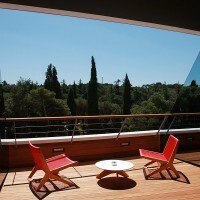 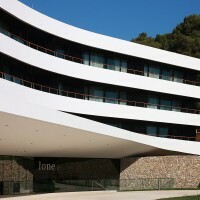 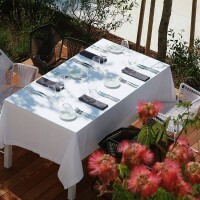 3LHD Architects have designed the Hotel Lone in the town of Rovinj, Croatia. 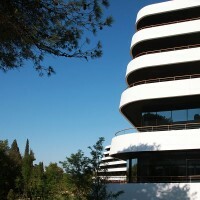 The 248-room property is located in the picturesque Mediterranean town of Rovinj, in the exclusive Monte Mulini neighborhood. 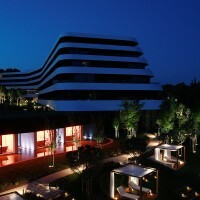 Built to resemble a sleek white ocean liner floating on the hillside, the hotel offers a wide range of places to wine and dine including three restaurants, three bars and a night club. 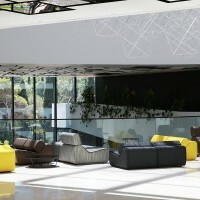 It also features a Mediterranean-inspired wellness center, a 600-seat auditorium and nine other meeting and conference spaces with state-of-the-art technology. 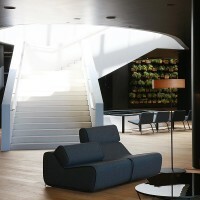 Hotel Lone’s design focus, together with first-rate event and leisure facilities, create the perfect symbiosis of work and play. 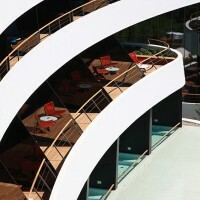 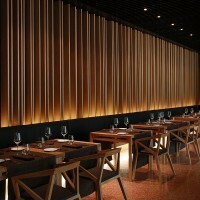 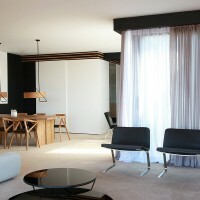 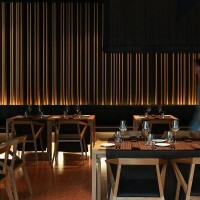 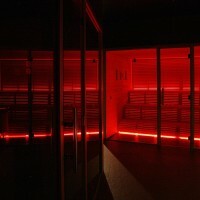 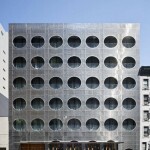 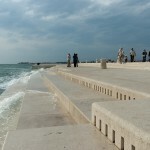 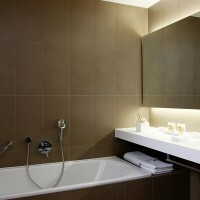 The project is led by Croatian architect Silvije Novak of 3LHD and inspired by the typology of 1970s Croatian hotels. 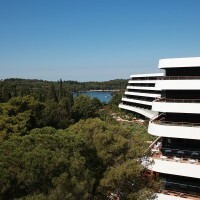 “The Croatian coast has several architecturally-impressive hotels from forty years ago, and their appearance is still modern today,” says Novak. 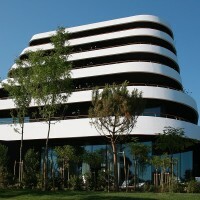 “Many of them are terraced hotels with large lobbies, and this is exactly how we have organized the space of Hotel Lone.” A “Y”-shaped structure is created along the coast to give all rooms spectacular sea or park views, and a dramatic hotel lobby opens up towards the sky with an atrium spanning six levels. 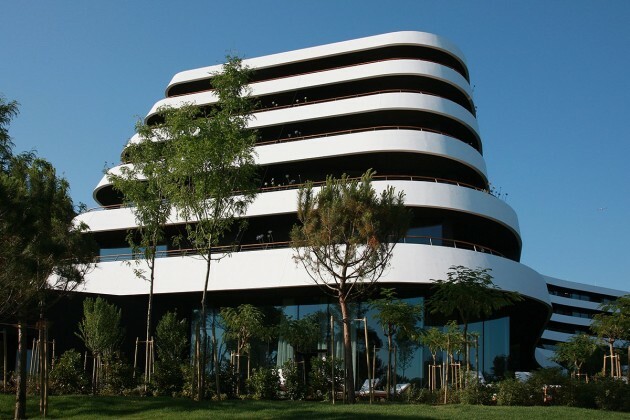 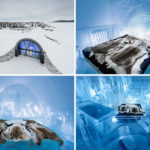 Respect for the environment is shown in the interior design, with integration of the natural surroundings into many of the hotel’s public and private spaces through large glass walls and mirrors. 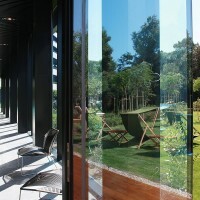 Visit the 3LHD Architects website – here.